I always have good intentions of posting almost daily while traveling, but I always end up rushing around seeing more things than I can record and think about. That comes later, when I have time to go through my pictures–not to mention the guidebooks that make my suitcase weigh a ton on the trip home. It’s time to sift through my memories of my last trip and begin planning another one. I love the streams that meander through the English countryside. Estates fortunate enough to have a stream have ancient plantings and walkways, because generations have paused to listen to the rushing water. 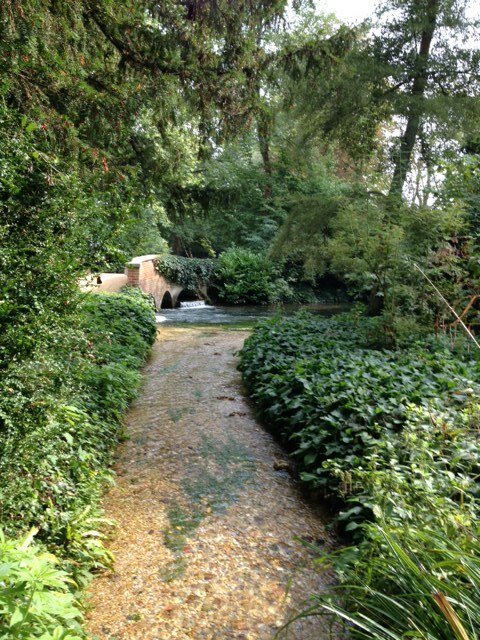 This stream is at Mottisfont. A fence can become a work of art, when there’s a passionate gardener around. And England is full of passionate gardeners. 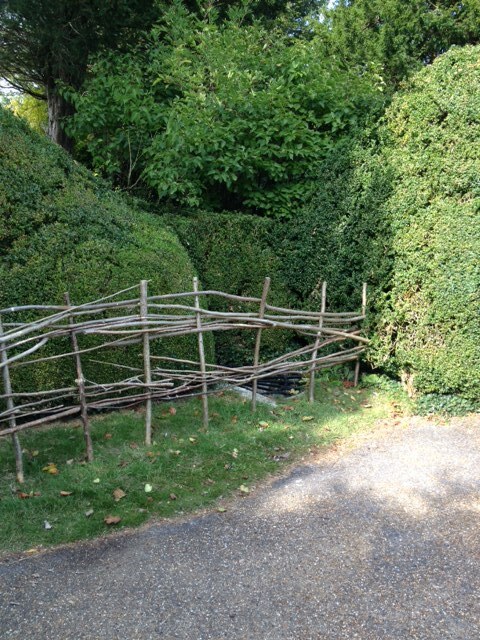 This fence is at Uppark. The British are thoughtful, and their memories are long. In this year of remembering those fallen in World War I, there are also memorials to the non-human victims. 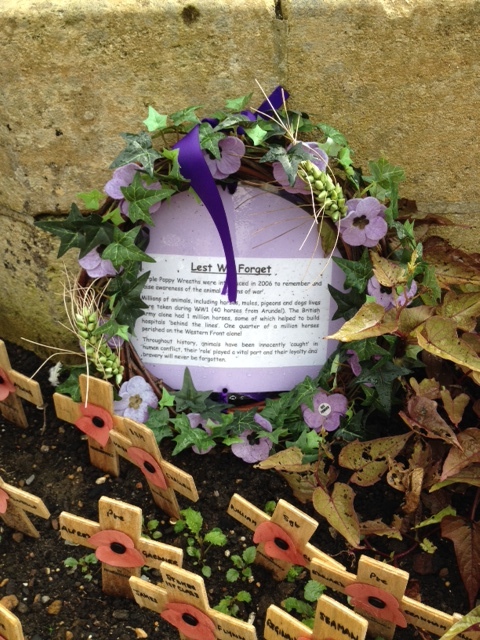 This wreath, found in the village of Arundel, honors the millions of innocent animals that suffered during the terrible war years. As in town and villages all over England, simple wooden crosses with poppies honor the local war dead. I thought it was nice to create a wreath of blue poppies to honor the animals. The historical sights are making new efforts to attract visitors, and to explain their histories in engaging ways. At Blenheim Palace, there’s a series of rooms that dramatize important events in the palace’s history through the eyes of a lady’s maid. This (wax) woman was awakened in a bedroom where she wasn’t supposed to be, setting off a Marlborough family scandal that turned into a government crisis in days long past. I would rather read my history and see actual artifacts, but I appreciate the effort that goes into exhibits like this. 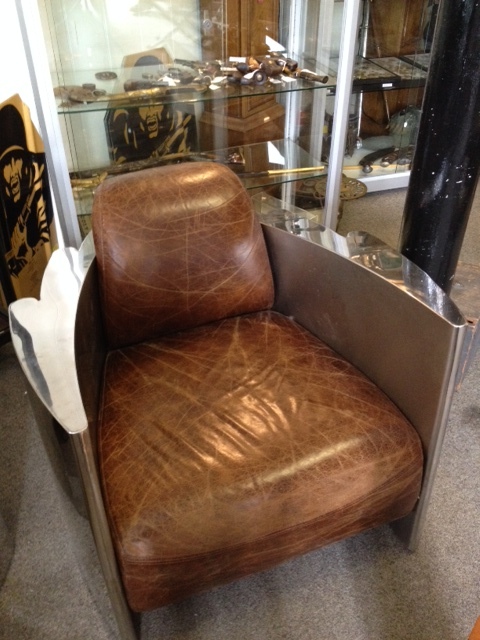 Antique shops are crammed with unusual and very British items, like this well-worn Art Deco chair. And have I mentioned the flowers? 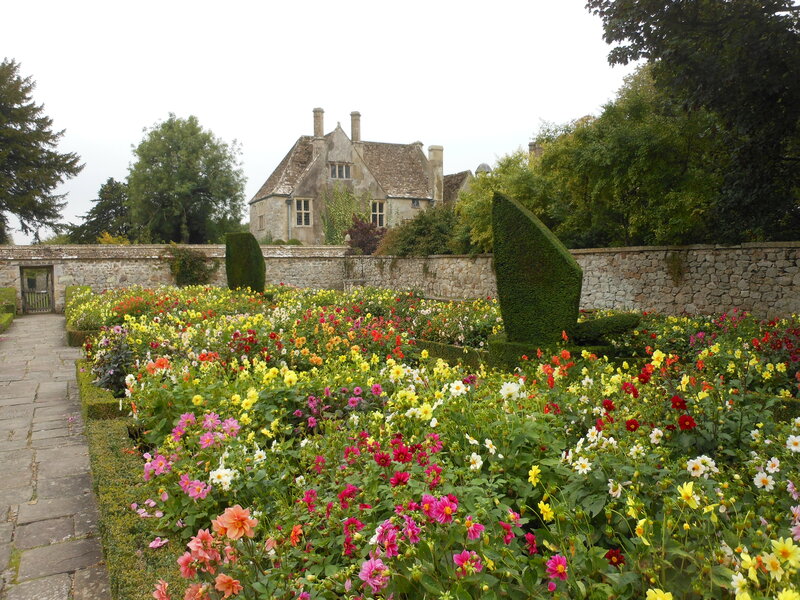 These are at Avebury Manor. Well into the fall, the temperate climate of England keeps flowers blooming. Yes, I love England! This entry was posted in British Isles, England, Historical Figures, History and tagged animals in World War I, Avebury Manor, Blenheim Palace, Mottisfont, Uppark, While I love England, World War I memorials on October 4, 2014 by Claudia Suzan Carley.